Terraced house "this property". 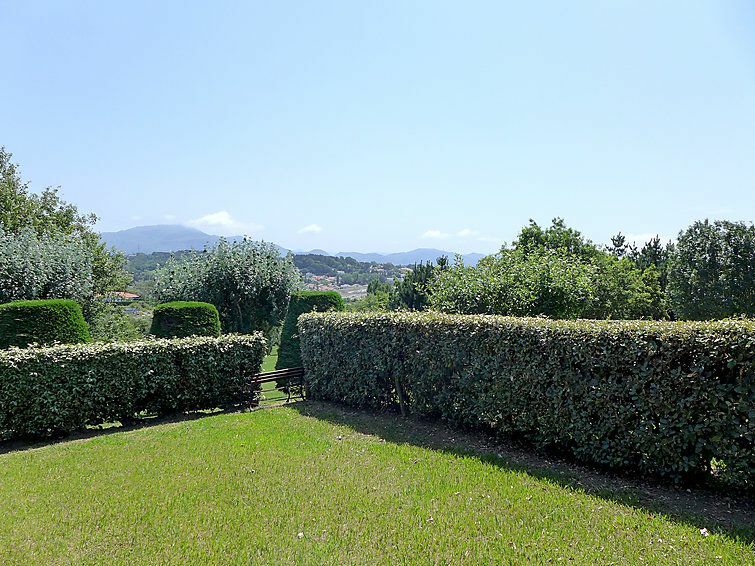 In the district of Acotz 4.5 km from the centre of St Jean de Luz, 300 m from the sea, 300 m from the beach. For shared use: swimming pool (9 x 18 m, 15.06.-15.09.). Tennis (2 x hard court), basketball, children's playground. Shopping centre 1 km, restaurant 1 km, sandy beach "Lafitenia", public bathing area 300 m. Please note: the keys‘ handover takes place by the agency Interhome à 16h, à 2 km. Railway line 100 m from the property. 3-room house 65 m2 on 2 levels. Living/dining room with TV. 1 room with 1 french bed (1 x 140 cm, length 190 cm). Kitchenette (2 hot plates, oven, microwave, freezer). Shower/WC. Upper floor: open gallery with sloping ceilings, ceiling height 155 - 175 cm with 1 double sofabed (1 x 140 cm, length 190 cm). Alcove, with sloping ceilings, ceiling height 155 - 175 cm with 2 beds (90 cm, length 190 cm). Sep. WC. Electric heating. Terrace 15 m2, south facing position, garden 60 m2, south facing position. Terrace furniture, barbecue. Facilities: washing machine, hair dryer. Internet (WiFi, extra). Reserved parking. Please note: smoke alarm.